Turk, A., Nakai, S., & Sugahara, M. (2006). Acoustic segment durations in prosodic research: A practical guide. In S. Sudhoff, D. Lenertova, R. Meyer, S. Pappert & P. Augurzky (Eds. ), Methods in empirical prosody research (pp. 1-27). Berlin: Walter De Gruyter. 藤本雅子・菊池英明・前川喜久雄 (2006) 「分節音情報」 『国立国語研究所報告124 日本語話し言葉コーパスの構築法』 国立国語研究所. 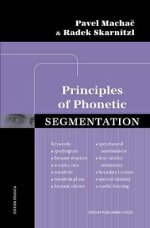 Pavel Machač & Radek Skarnitzl (2009) Principles of Phonetic Segmentation. Prague: Epocha Publishing House.